Welcome to our fresh new site. 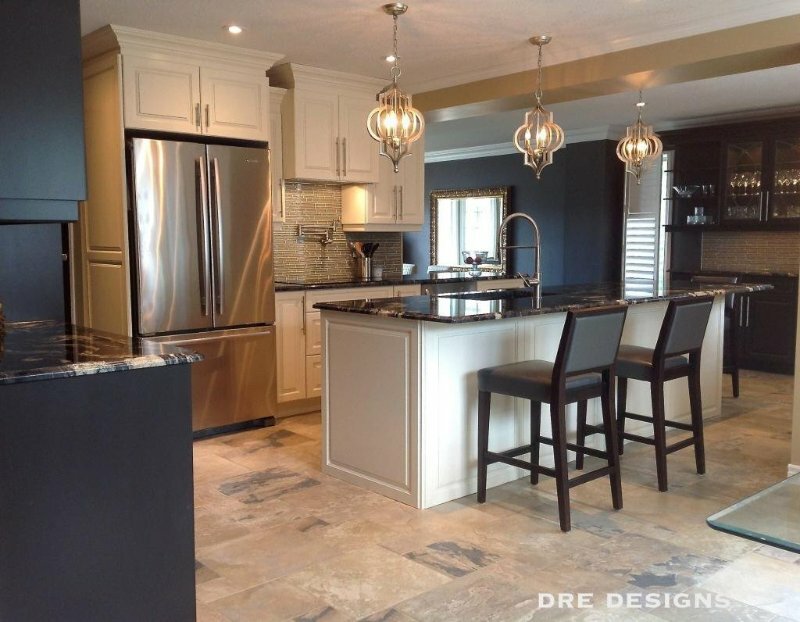 Dream Home Cabinetry is a family-owned company located in Palmerston, Ontario. 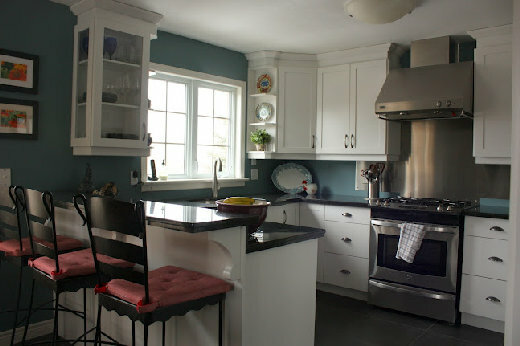 We specialize in designing, manufacturing, and installing custom kitchens; although we do other forms of cabinetry as well. Our customers, to us, are like family, and so you can expect impeccable friendly and efficient service, delivery and job completion when you expect it, and quality workmanship that you will not only enjoy, but will also feel inclined to brag about to your friends. 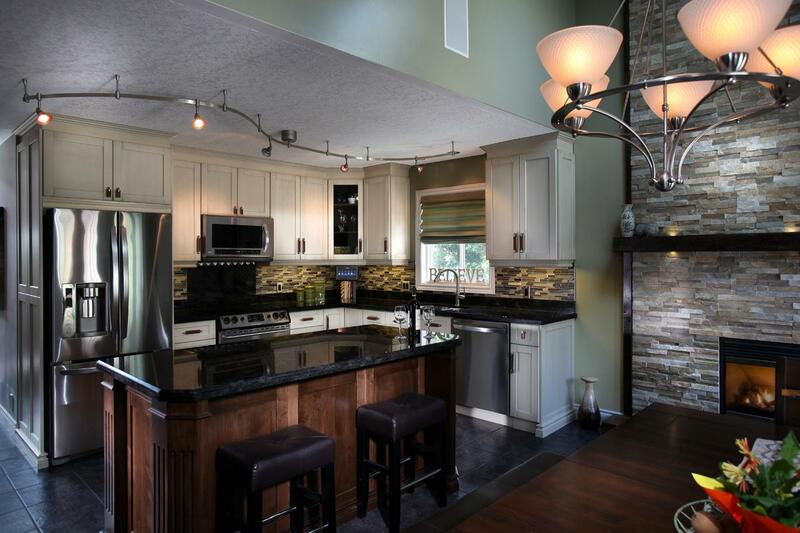 This spacious kitchen, designed by Dre Designs, features a great island for visiting with guests as you prepare your feast, as well as a side bar to allow your guests to refresh themselves without being underfoot. This fabulous two-tone kitchen was part of a larger project in an open concept home and was featured in Our Homes magazine. Every inch of this small kitchen has been carefully planned to provide optimal functionality while providing a clean welcoming atmosphere.